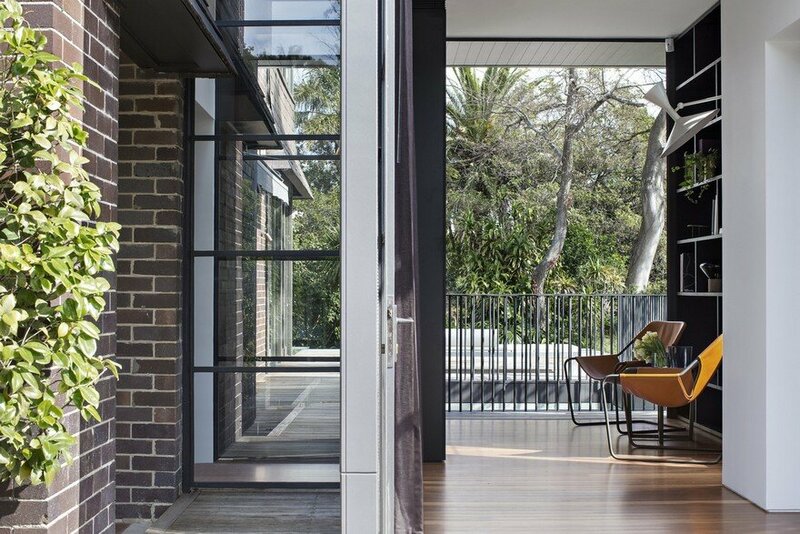 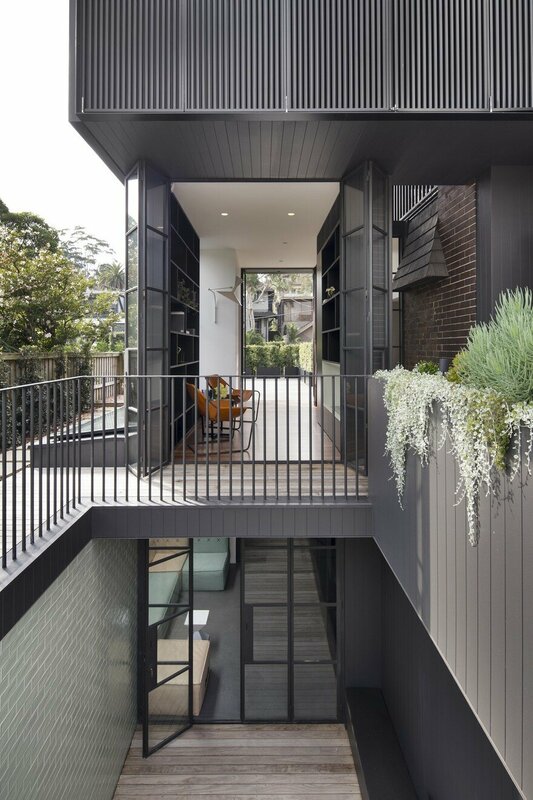 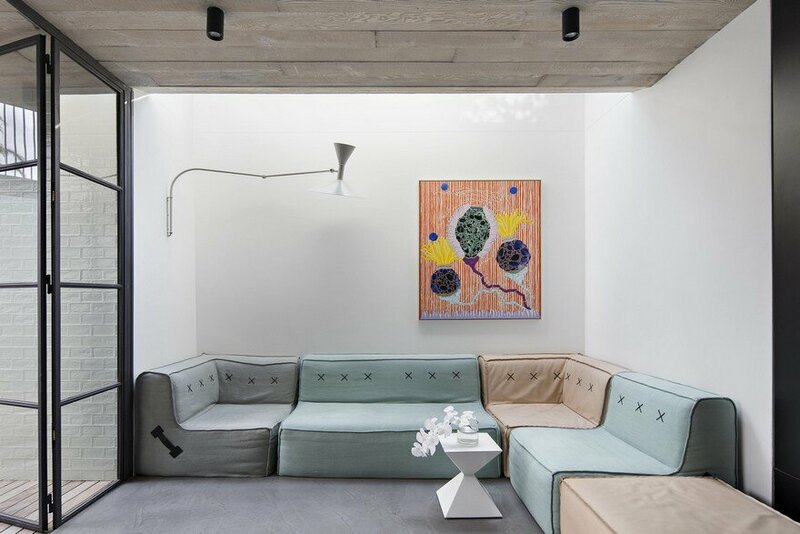 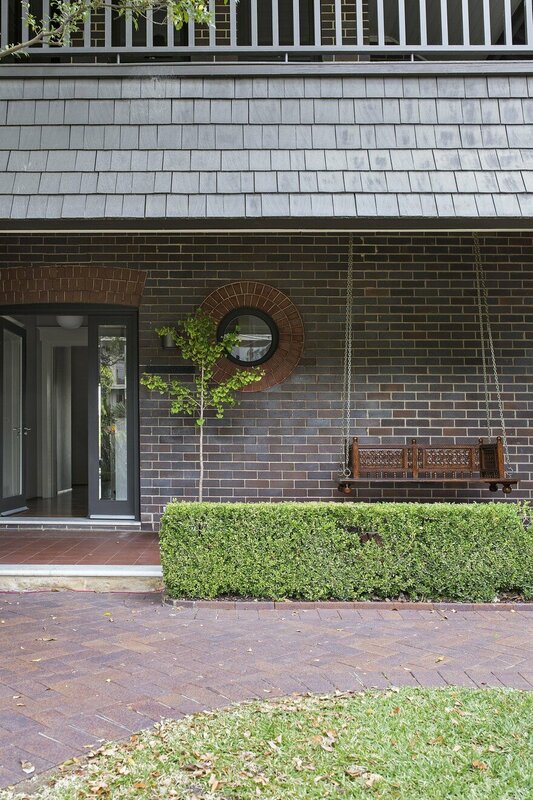 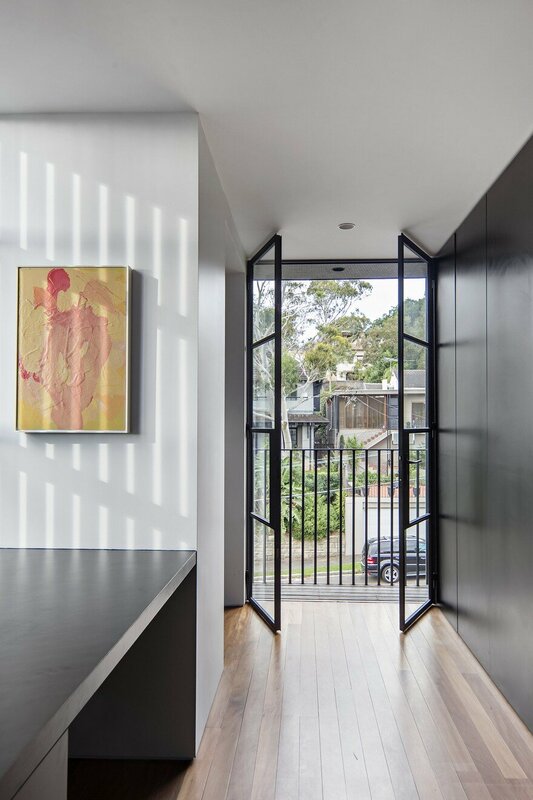 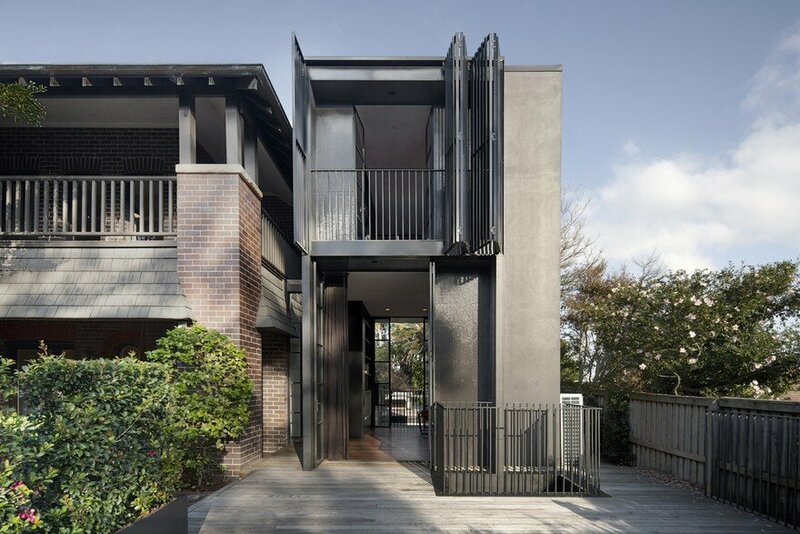 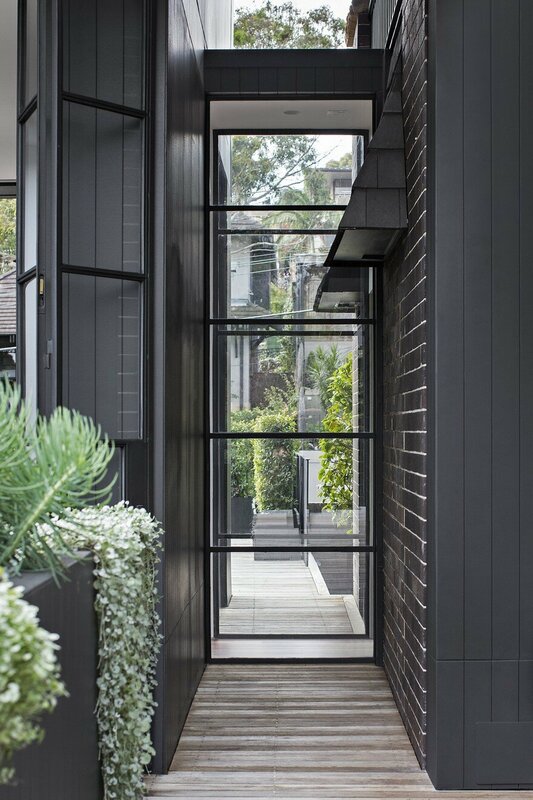 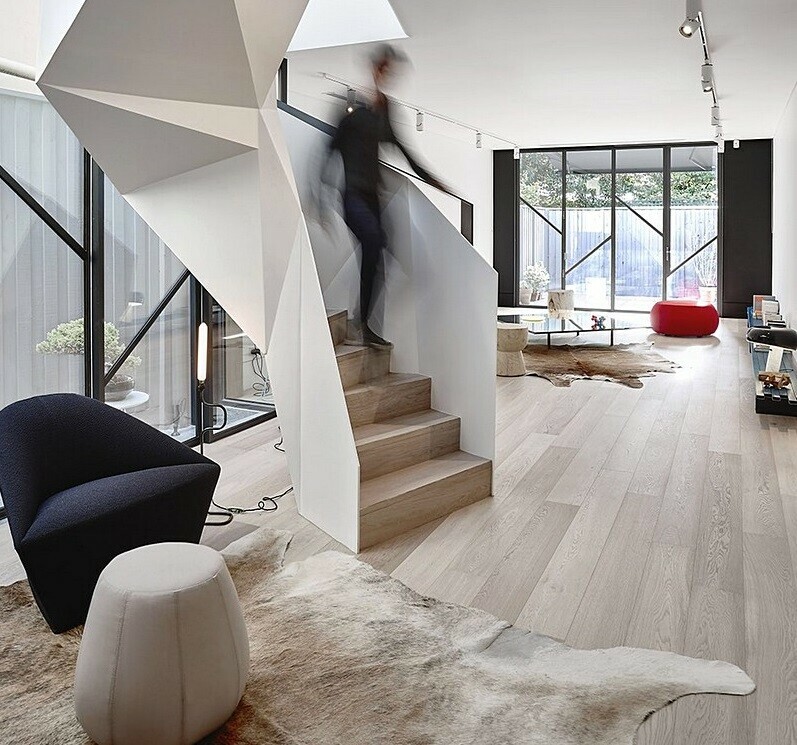 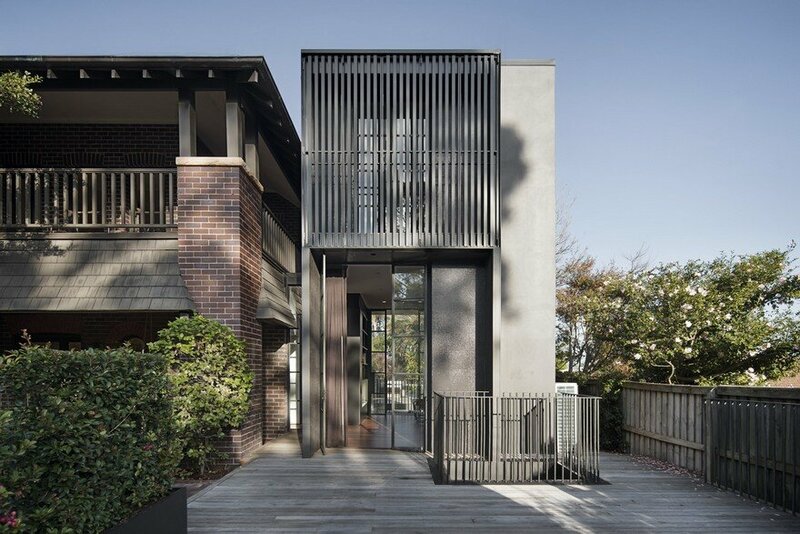 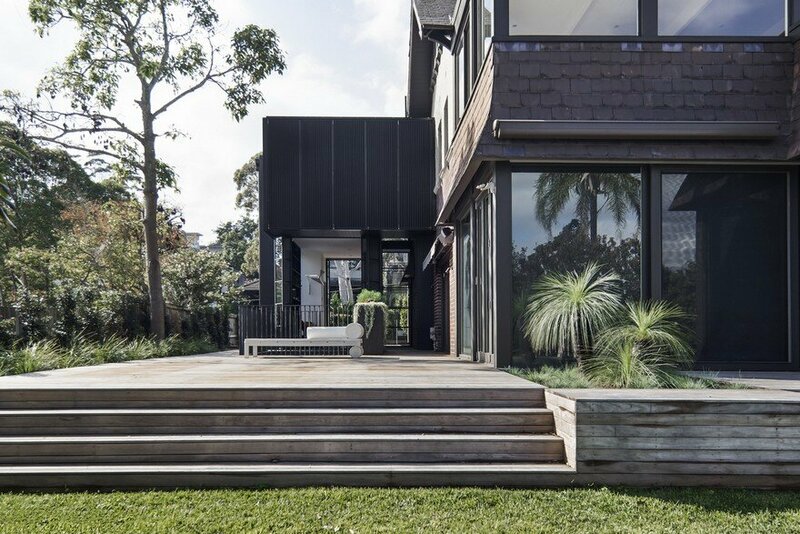 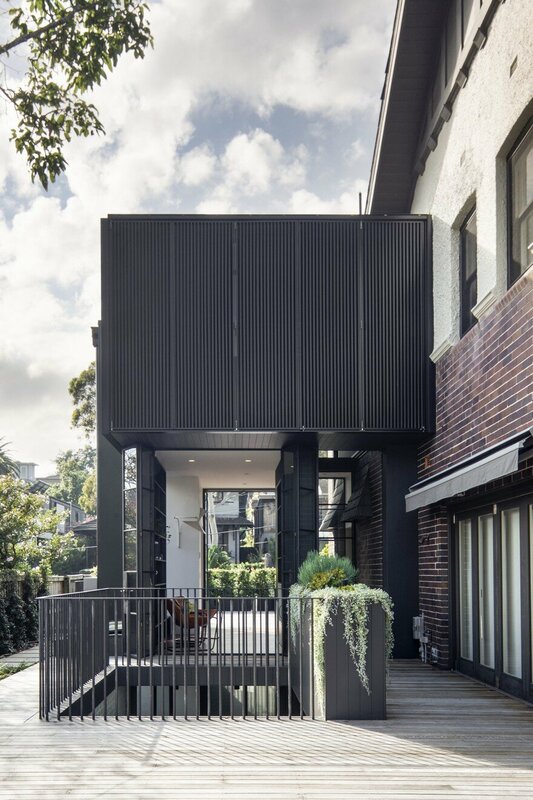 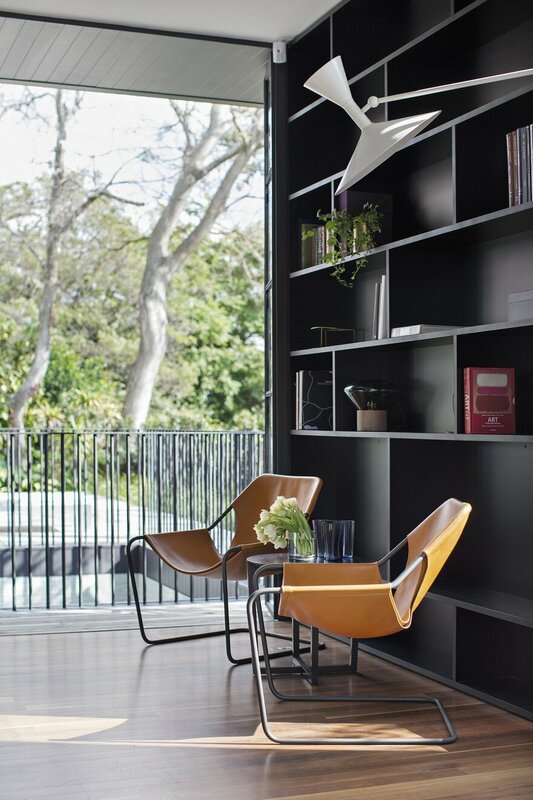 This project involved a narrow three story side addition to a 1920s two storey brick house in leafy Bellevue Hill. 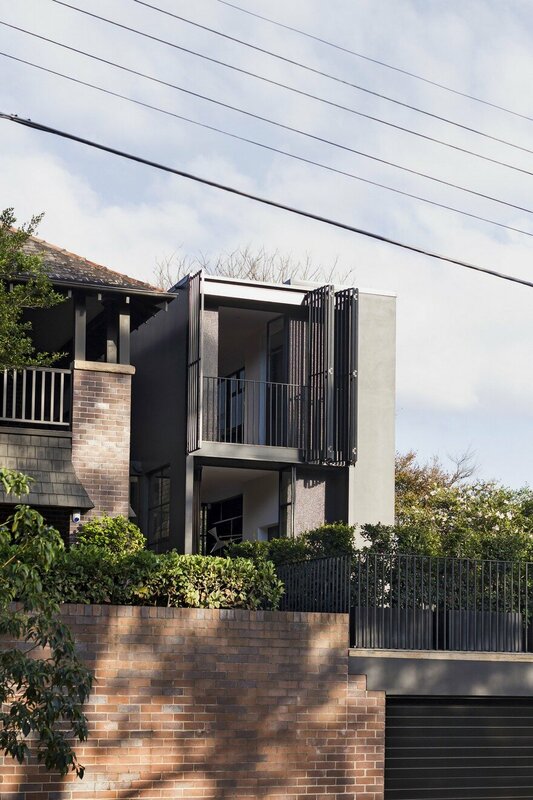 The brief called for an addition that created space for a study, library and rumpus area that also provided an opportunity for internal connection/lift access from the previously separate garage. 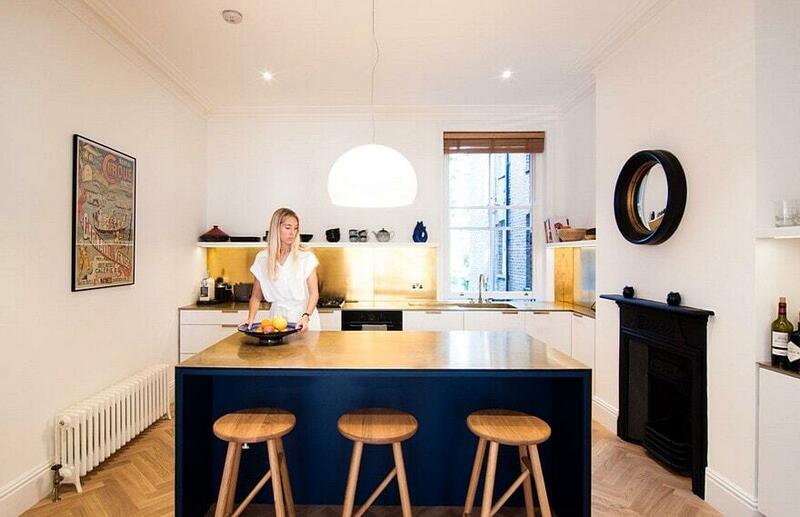 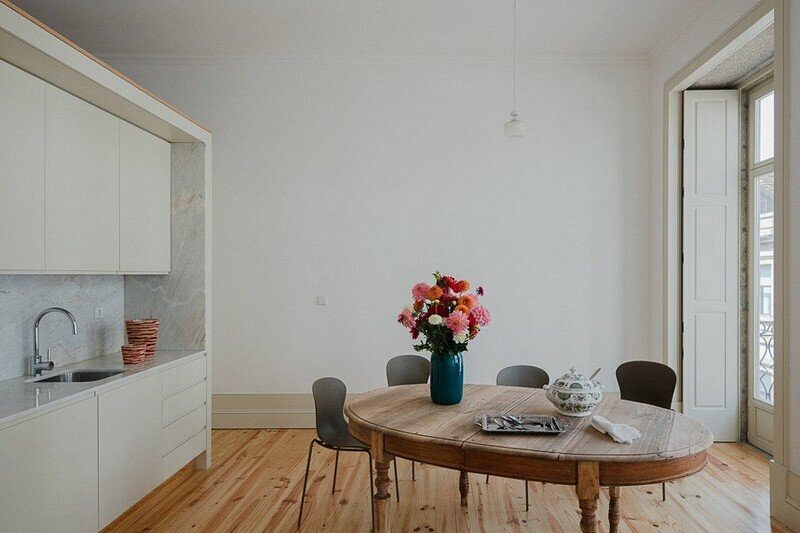 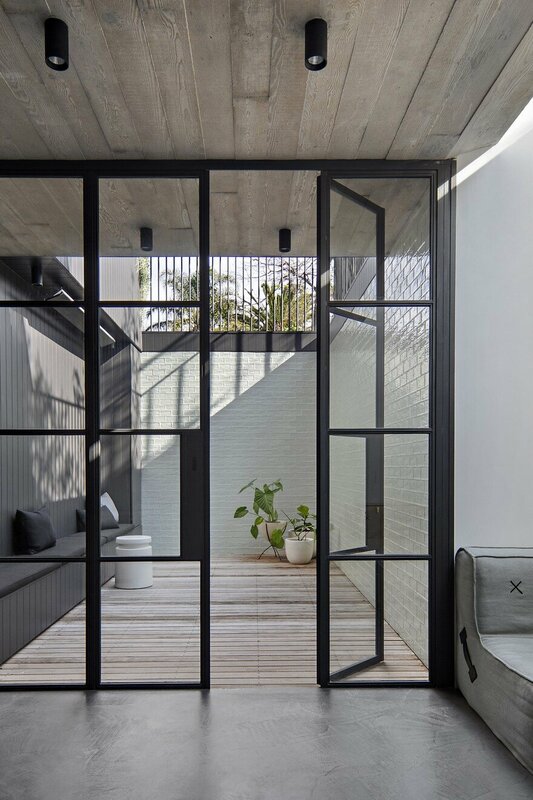 The design was conceived as a single, vertical form that contrasts the horizontality of the existing house. 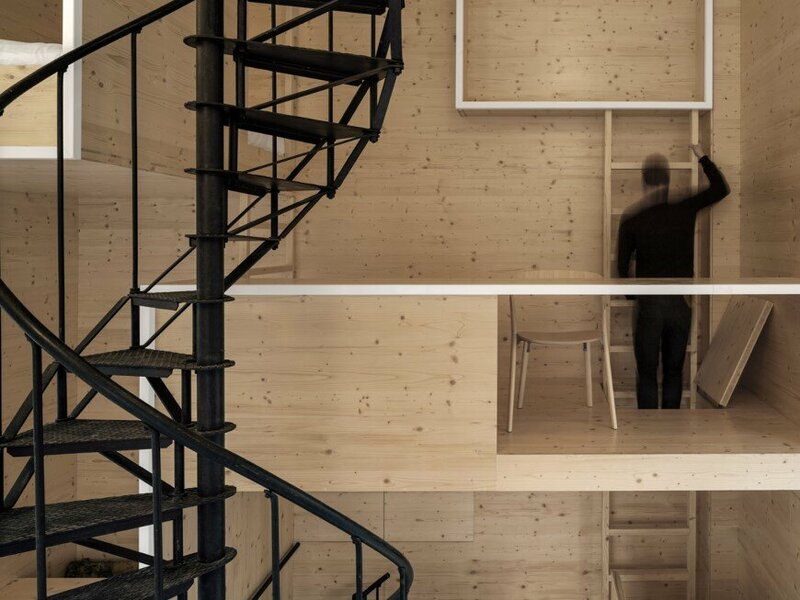 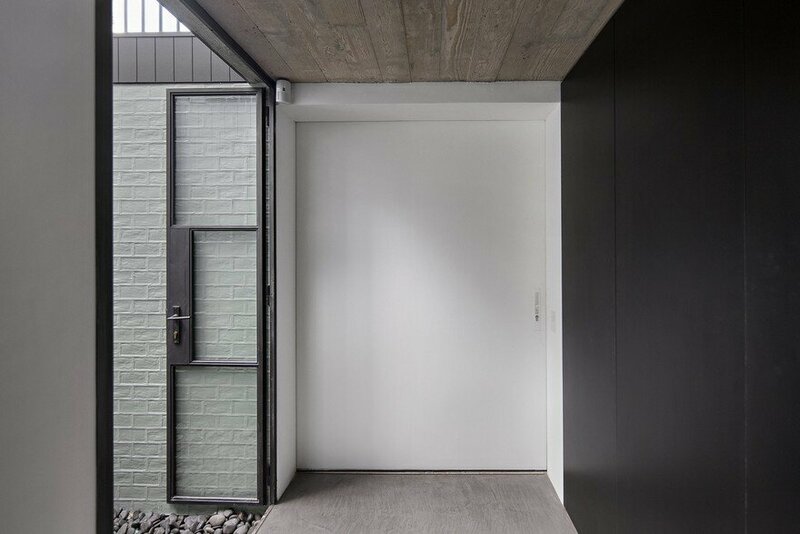 Economical in its footprint, the addition’s internal floor area measures 44 sqm, with one room occupying each of the three levels – a rumpus room below ground, a library at ground level and a study on the level above. 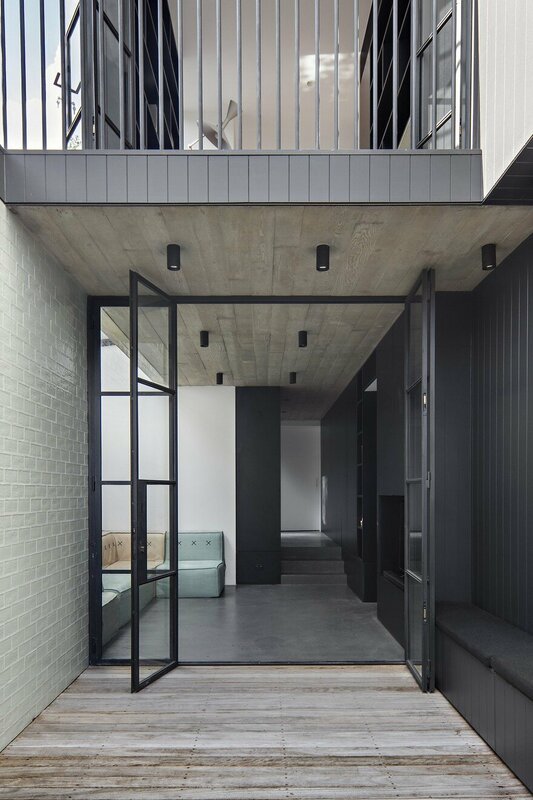 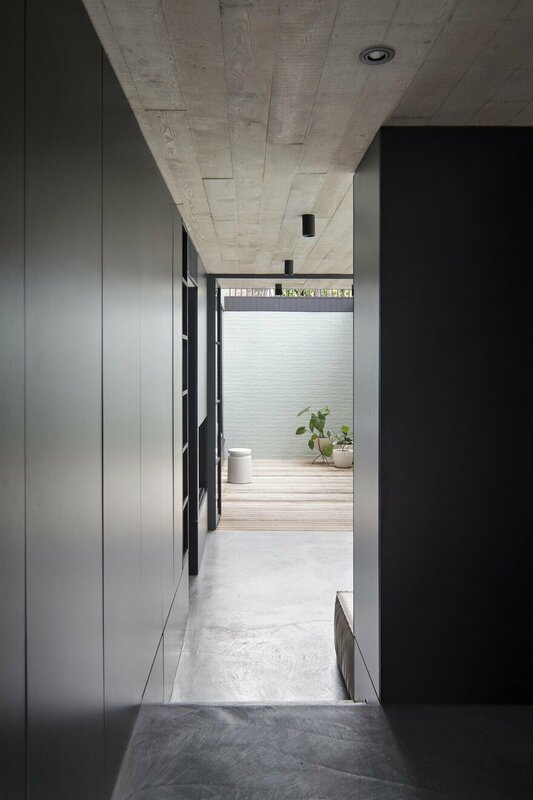 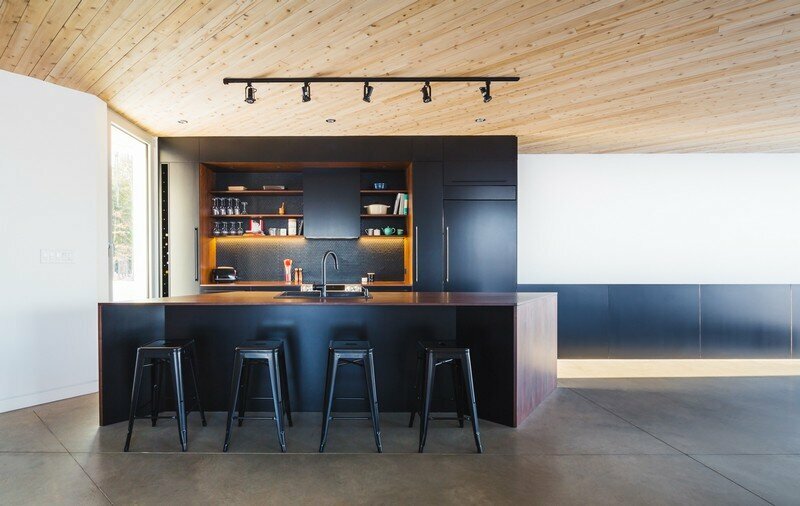 A minimalist palette of concrete, black steel, black joinery and white walls is offset by the use of pale green textured tiles and rough sawn timber relief in the concrete ceiling that enhance the space’s play on light and shadow.